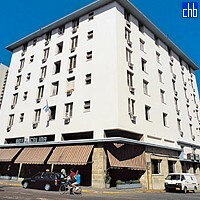 If you are travelling around Cuba & arrive in Havana looking for a cheap, central place from which to sample the city’s nightlife, you will find Hotel Islazul Colina a great choice. One of downtown Havana’s older hotels, Colina is in a fantastic location to experience the city’s vibrant social & cultural delights. Step outside the hotel foyer & you will find museums, galleries, shops, markets, bars & restaurants. Colina’s facilities are basic but clean with good food served in the buffet restaurant & 24-hour snack bar. 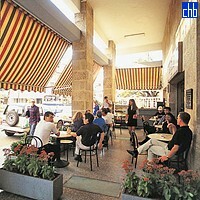 There is also a nice outside terrace where you can sit with a coffee & watch the world pass by. As in many budget hotels, guests occasionally report issues with rooms but what sets Colina hotel apart is the memorably friendly & helpful way its staff always respond. Islazul Colina is likely to appeal to younger travellers as the hotel can be very noisy by day & by night with regular parties & a discotheque nearby. But if you are looking for somewhere inexpensive to lay your head in between sampling Havana’s party scene, Colina should be very high on your list. Rooms are all ensuite with either twin or double beds. 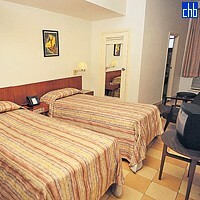 The rooms can be a little small but are very clean & comfortable with air-conditioning, safe & satellite tv.